Sam is the Head of Harrelson Agency and an ordained Baptist minister. Sam Harrelson has hosted 62 Episodes. Gospel of Mary? Bel and the Dragon? The Apocryphon of John? Two Corinthians? Dr. Thomas Whitley and the Rev. Sam Harrelson are joined again by David Ray Allen to cover the second round of the Thinking Religion Bible Bracket Challenge and give a great overview of biblical books you might not have read in a while. Dr. Thomas Whitley and the Rev. 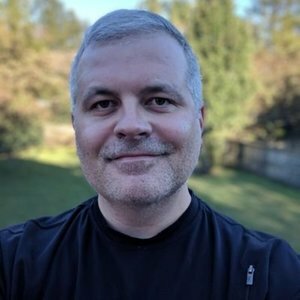 Sam Harrelson are joined by David Allen Jr., a Morehead-Cain Scholar at the University of North Carolina, to cover the first few matches of the Thinking Religion Bible Bracket Challenge. David brings his own unique understanding of sports to help Thomas and Sam make the tough calls that must be made. Dr. Thomas Whitley and the Rev. 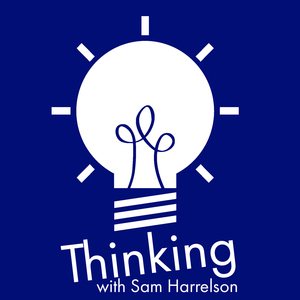 Sam Harrelson discuss the upcoming Thinking Religion Bible Bracket Challenge (starts next week! ), generational views on gay marriage, and whether the moral arc of the universe bends towards justice. Episode 111: Which Gospel is the Best Gospel? Dr. Thomas Whitley and Rev. Sam Harrelson break down the problem with Paul's authorship of Colossians and Ephesians, head shaving, Gospel forgery, Matthew and the Q Community, the Gospel of Thomas, and infancy gospels. Dr. Thomas Whitley and Rev. Sam Harrelson discuss "the new normal" and the how things change all of sudden. Dr. Thomas Whitley and Rev. Sam Harrelson discuss the death of the Old Testament and whether biblical literacy matters to contemporary Christians and cultures. Episode 106: Are Kids Growing Up in a Post-Christian America? Thomas and Sam debate renewing Evernote Premium, Donald Trump's Christianity, Evangelical logic, and whether Generation Z is growing up in a "Post-Christian" world. Thomas and Sam discuss life changes, beard growth, corporate philosophy officers, existentialism 2.0, and whether the Canon should remain closed or be thrown open.